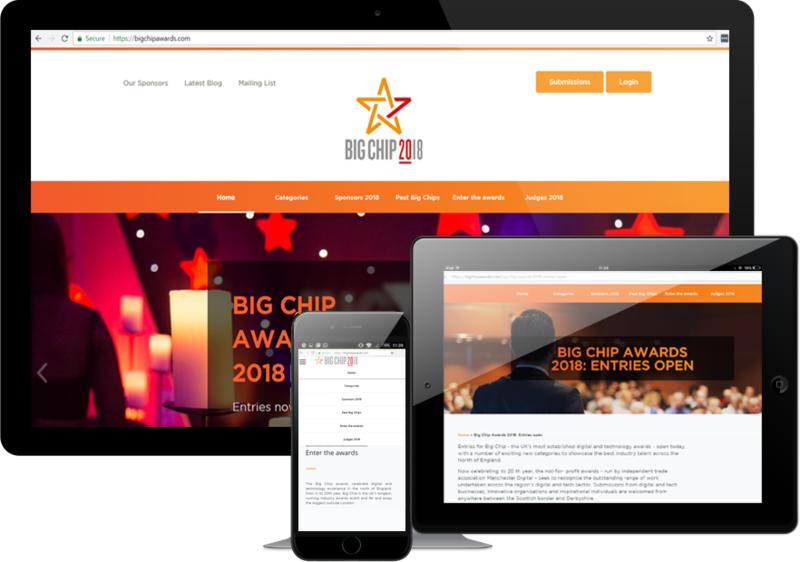 Since 1997 the Big Chip awards have been dedicated to rewarding the development of the Manchester Digital sector, more recently spreading out into the whole North West. 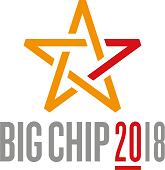 The Big Chip awards are the largest digital industry awards out of London and the longest running; celebrating digital excellence within categories such as start-ups, micro businesses, students and apprentices within the North West. After helping to develop a new back-end system for the awards which allowed the judging of entries via a purpose build database, we were asked to redesign the front end of the website, to coincide with their rebrand and a new logo – and the introduction of the new Leadership Award. The actual functionality of the website was to remain largely unchanged, the goal being to design a new homepage and then apply the new theme across the other pages on the website while also improving the existing navigation in the process. 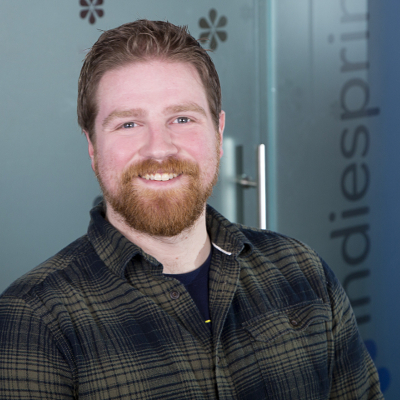 Project Manager James met with members of the Manchester Digital team to discuss the requirements of the new designs. A close relationship and regular contact with our client were integral to this project, as the designs needed to be exactly to specifications. 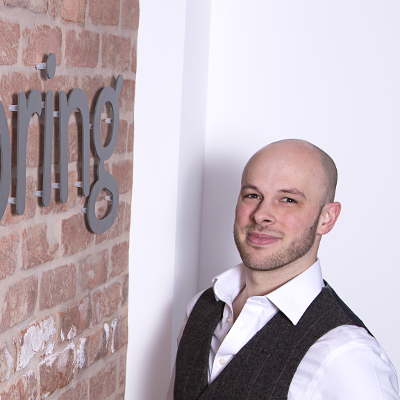 Throughout his initial drawing up of the wireframes, and subsequent tweaks to improve user experience, James was in close contact with Manchester Digital for insight and support. The goal of this project was to improve the user experience for both the site users and judges alike. We incorporated some of the new visuals into the existing judging panel features to allow them more control over the comments and processing of the awards. 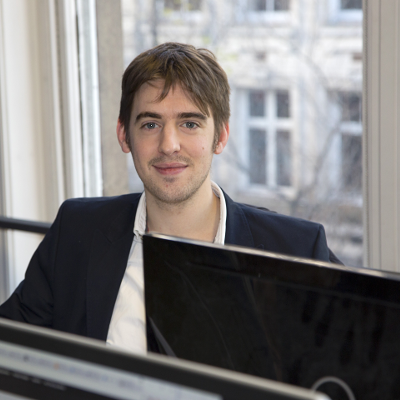 Andrew worked very closely with free-lance designer Matt Baker. Working alongside each other they transformed the UX wireframes James created into a series of visual templates based on the new brand guidelines provided by Manchester Digital for the 2017theme. These designs were then applied by the developers into Drupal templates and implemented into the new site – as well as some new functionalities, so the site not only looks the part but works beautifully, too. Another feature available on desktop that was integral to this build. Screenshots of big wins from players displayed here in real time, and now desktop and iPad users can see wins from each community. 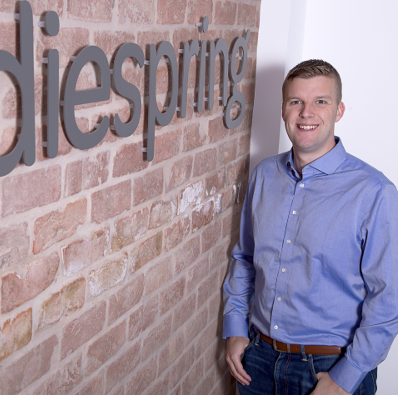 When the project was completed, Indiespring delivered a stunning, fast and easy to use website to our clients in time for the 2017 award season. We improved the user interface and front-end design of the website, as well as the journey which users took to complete the process of submitting their work. 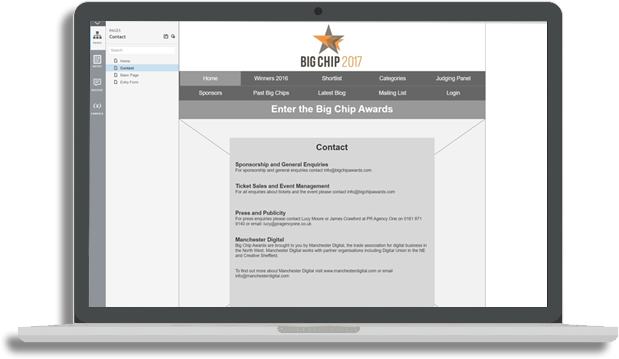 The new Big Chip Awards sire, we believe, conveys the importance of the awards and all those who take part, and represents Big Chip and Manchester Digital beautifully. We continue to support our clients with the site and look forward to improving the site further ready for the 2018 awards.